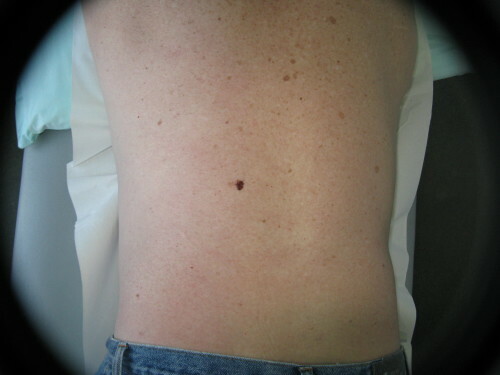 It is very difficult to pick a melanoma from it’s appearance to the naked eye. One of these is a melanoma, the other is not. 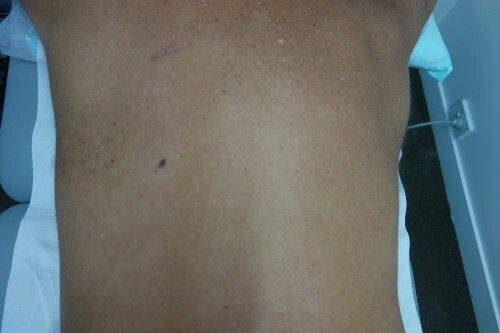 Using the ABCDE tool each would be determined to be a melanoma. However it is more accurate to assess the skin with a dermatoscope which clearly shows that only one of these lesions is a melanoma, the other is a seborrhoec keratosis which is a benign age related lesion. A dermatoscope is essentially a skin microscope that requires skill and experience to use.